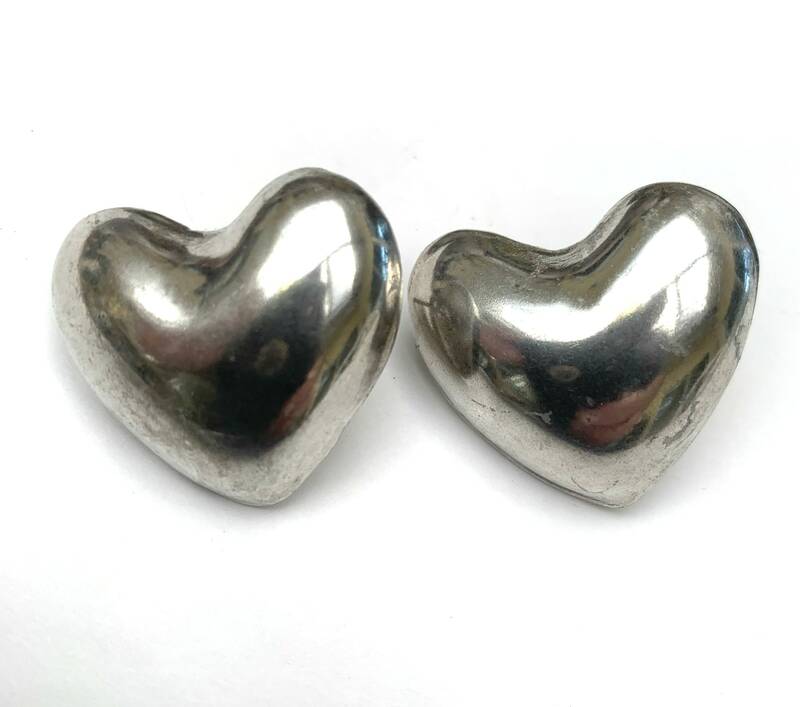 For your consideration is this pair of sterling silver heart earrings. They consist of \ sterling silver in a rounded heart shape. They are pierced earrings. the dimension of these earrings is 1 1/4 inch x 1 inch.